Interpretation is the process where a person converts spoken words from one language to another language. 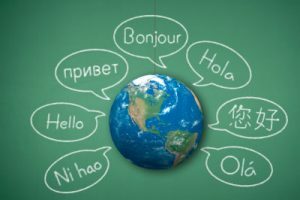 Therefore, an “interpreter” acts as an intermediary between individuals who are speaking different languages. Translation, on the other hand is the process of converting the written word from one language to another. Consequently, a translator will take a document written in one language and convert it to another language. Courts will not recognize interpretation or translation by individuals who are not deemed competent. While you may know a person who is fluent in Mandarin or Spanish or French, “fluency” is not sufficient as a matter of “competence”. Qualified interpreters must be certified on the Judicial Council Master list after taking a rigorous qualifying examination. They are issued identification badges and can be appointed by the Court to interpret oral testimony being given by witnesses at depositions, trials and hearings. Translated documents can only be certified by County Clerks if the translation was accomplished by American Translators Association certified translators, California Certified Court Interpreters or California Registered Interpreters. California Registered Interpreters can translate documents offered as evidence at Trials, Depositions or Hearings. Should We Translate or Interpret? I am often asked by clients located abroad whether or not our Courts will give greater weight to the testimony of an English speaking witness. The answer is unequivocally, “No.”. A qualified witness, who can testify by firsthand knowledge of the facts of a case can testify comfortably in that person’s native language and use a qualified interpreter – and may do so knowing that interpreted testimony is given the same weight and value of an English speaking witness. Consider this – Being “believable” is a key element for a successful witness at a trial. If a witness, who is Chinese, for example, and is capable of speaking English, but hesitates or is stilted in his delivery, he might appear “less believable” to a judge or jury. However, if that same witness can assertively and without hesitation deliver his testimony in Mandarin or Cantonese and then have a competent interpreter deliver the message in English, the result is enhanced believability. The value of that “believability” cannot be overstated. Likewise, competently translated documents are given the same weight as documents written in the English language. However, over and again, the key word you should have noted from the above presentation is “competence” – that means “legal competence” as recognized by the Court.